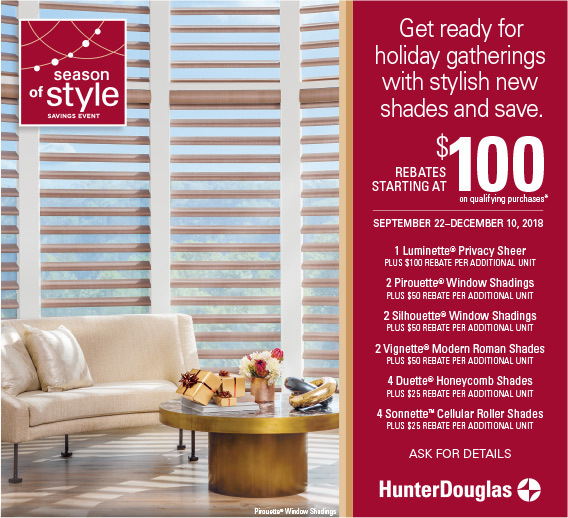 Hunter Douglas Holiday Promotion – Blinds Etc. Looking to make a big impact to the look and feel of your home before the holidays? Take a look at our wide selection of window covering solutions in the product gallery or schedule an appointment to show you even more options. Take advantage of our latest promotion and save this holiday season! Share The Savings, Choose Your Platform!